I’m more than a little partial to comedy that tells a story; Lily Tomlin’s Search for Signs of Intelligent Life in the Universe and Jonny McGovern’s Dirty Stuff are two of my favorite performance pieces ever. I also really like evenings that combine stand-up with gay-themed narrative, like most of Judy Gold’s recent work. So I’m not in the least surprised that I positively love Baby Daddy, the act that “America’s Gaysian Sweetheart” Alec Mapa is currently doing at the Laurie Beechman Theater. The show is mostly about what has happened since Mapa and his husband, documentary film producer Jamison Hebert, adopted a five-year old black boy from Compton. Mapa has structured the act very intelligently, starting with up-to-the-minute topical material (Ann Romney’s “you people” gaffe was one of the first subjects the night I went), passing gradually to stuff about the funnier side of parenting, and zeroing in the more touching side of parenthood only as the show approaches its end. Alec includes every side of his life in this act: lost luggage on the way to gay cruises, mid-life crisis circuit partying, and musing on the possibility that Christina Crawford was a thankless brat. Mapa is my favorite kind of comedy writer, one who realizes than scatological humor and intellectual wit aren’t mutually exclusive, as a matter of fact they can happen in the same line. Mapa name-checks musical theatre in general – and Dorothy Loudon in particular – as being the well-spring of his desire to perform. Mapa self-deprecatingly says that this show isn’t going to reach Loudon-worthy heights (though for my money it gets much closer to that kind of incandescence than stand-up usually does). Mapa spins gay parenthood into show biz gold – ya better not miss it, kid! 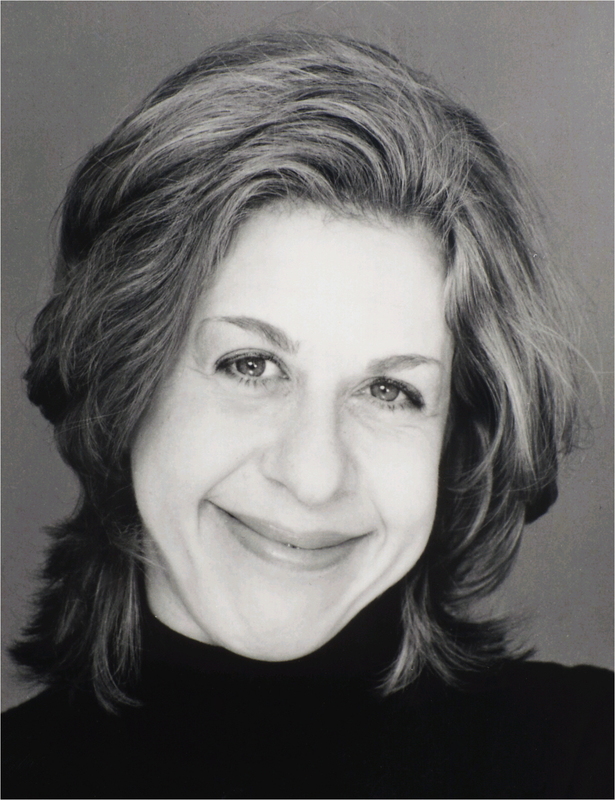 Jackie Hoffman, one of the city’s best comic singing actresses, creates cabaret acts that tell hilarious self-deprecating tales about the sad state of her career. It really doesn’t matter if she’s actually doing fine career-wise, she always manages to find the wickedly funny downside. 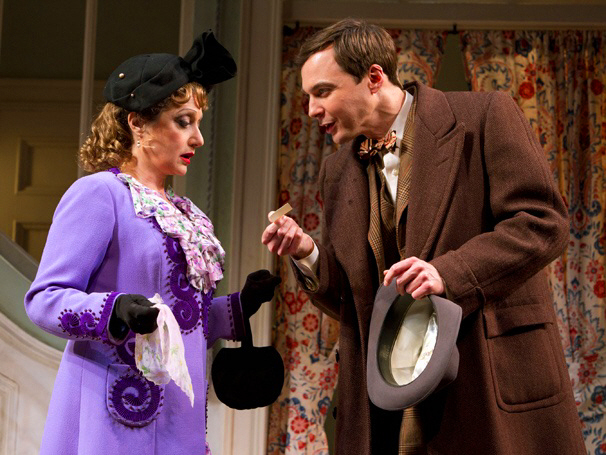 The first number in her act at 54 Below – which actually opened the space two days before Patti LuPone, she hastens to point out – is punningly called “Bottom” and sarcastically celebrates climbing her way up to the basement (of Studio 54). Jackie emphasizes observational humor here more than in previous acts, but the observations she makes are many times more twisted and cutting than in traditional standup. For example, one of the funniest recurring themes in her comedy is a strong dislike of small children, which she details here in a hilarious song about the over-diagnosis of autism. While she clearly isn’t above making jokes at her own expense, Jackie exudes more and more confidence every time I see her. She can also be surprisingly humble and warm, and she incorporates those qualities more subtly and seamlessly here than before. Jackie Hoffman’s cabaret shows have long been one of my very favorite things in the whole New York performance world, and this one more than lives up to that standard. Acid humor that never gets all the way to self pity, a great character actress who just gets more glamorous while never losing her razor edge – long may Jackie roar! Leave it to Justin Vivian Bond to create a cabaret act that breaks all the rules, but is still hilariously entertaining, wildly imaginative and vividly expressive. I am always berating cabaret performers that they should not lean too heavily on the ballads, and limit the length of their shows. I stand by that, with one adjustment – if you are Mx. Justin Vivian Bond, you just pay me no mind. Because v’s acidly funny stream of consciousness patter takes the place of uptempo numbers, and v’s fire and brimstone take on torch singing renders even the most maudlin ballad a thrilling study in the real oddities and edges of human experience. Not that Justin ever picks anything to sing that is straightforwardly maudlin – v’s taste in songs is impeccable, approaching them with the touch of a very careful curator. A curator, that is, who finds what is most explosive in the art they’re presenting, and then promptly detonates it. V’s own compositions (which name-check Jean Genet as well as other influences such as English occultist Aleister Crowley) are generally in a joyfully organic vein that owes something to v’s Radical Faerie connections, and are indeed highlights of the show. This particular cabaret act is called “Silver Wells”, based on the newly released album of the same name, inspired by Joan Didion’s 1970 novel Play It As It Lays (Silver Wells is the heroine’s desolate hometown). In the show, Bond reflects on the book’s themes of nihilism and fragmented identity, and the act gets much of its humor from looking at society from a perspective that is simultaneously inside and outside, much like Genet and Joni Mitchell, heroes that I personally share with v. We also share an affinity for Tennessee Williams – Bond has an ambition to play Blanche du Bois, which I would love to see. I think this may be the longest cabaret act I’ve ever seen, but I hardly felt it. Highly recommended – and the show has been extended! There’s always been a soft spot in my heart for Harvey by Mary Chase – I’ve loved the Jimmy Stewart movie from a very young age, and thought the play was delightful since the first time I read it. I’ve spent many years away from the play, neither seeing the film or reading or seeing the play; seeing the Roundabout revival currently on Broadway left me more conscious of the play’s flaws than before, but even more conscious that the play will always transcend those flaws. Harvey follows Elwood P. Dowd (Jim Parsons), the affable and courtly scion of a rich Denver family, whose very best friend happens to be a 6-foot-3-and-a-half inch tall, invisible white rabbit named Harvey. Elwood’s sister Veta (Jessica Hecht), embarrassed by her brother’s eccentricities, takes Elwood to the local sanatorium, but the doctors, taken aback by her high-strung behavior, commit her instead. Confusion and chaos ensue as everyone tries to catch a man and his invisible rabbit. Director Scott Ellis showers this charming tale with affection, although it gets fuzzy in the details (which can be very dangerous in comedy). However, Ellis has a firm grip on the pace, which certainly helps, and his work is stronger in the more emotional second act. Parsons has exactly the right kind of guileless wit for Elwood, although he sometimes seems more clueless than polite, which doesn’t quite match up with what other characters say about Elwood. The play is a little creaky in the exposition and its cartoonish portrayal of psychiatry, but Chase’s unique take on the themes of kindness and eccentricity remains powerful. I still love this play a lot, and this production, if far from perfect, still does this gem justice. Ronald Tavel's "Kitchenette" - directed by me - is TOMORROW!